Everything about Dungeness is strange. If you've been there, nothing I can say about it would be an original thought: bleak, surreal, expanse of shingle, desert, desolate, deserted, looming nuclear power stations. If you haven't, I can't describe it in any way that would prepare you. 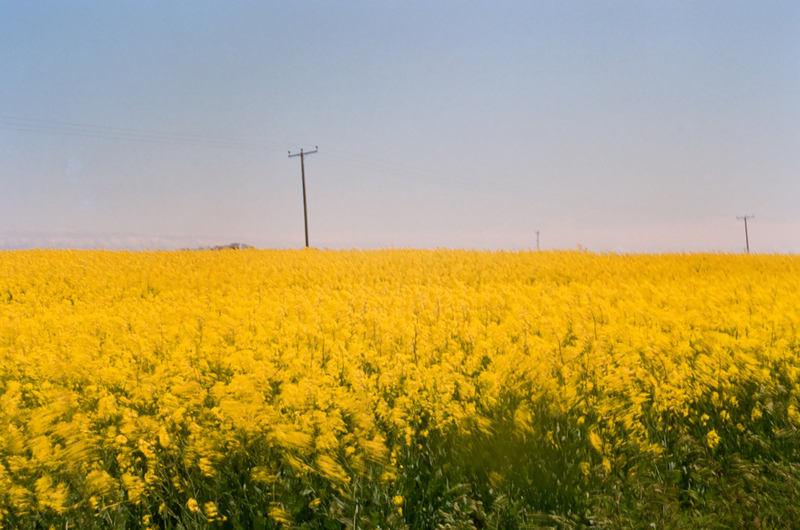 A bright, hot summer's day, the gorse in full bloom in the garden of the small wooden fisherman's cottage where Derek Jarman spent his final years, the landscape looking like the wild west in one direction, with rusting remains of fishing boats and machinery scattered across the shingle and like another planet when you turn the other way to see the two nuclear power stations - looming, that's what everyone says. I read an interview with some of the residents who live in the collection of cottages nearest to the power station, which is also closest to where the shingle drops away sharply into a violent sea. No paddling here. This man said he falls asleep to the comforting hum of Dungeness B power station (Dungeness A is no longer operational). Not to the sound of the waves! It would be easy to write off anyone who chooses to live here as a bit strange, but I can feel the pull of the place and I would not say strange, just different and a little brave. Each time I leave, my only thought is when will I come back. 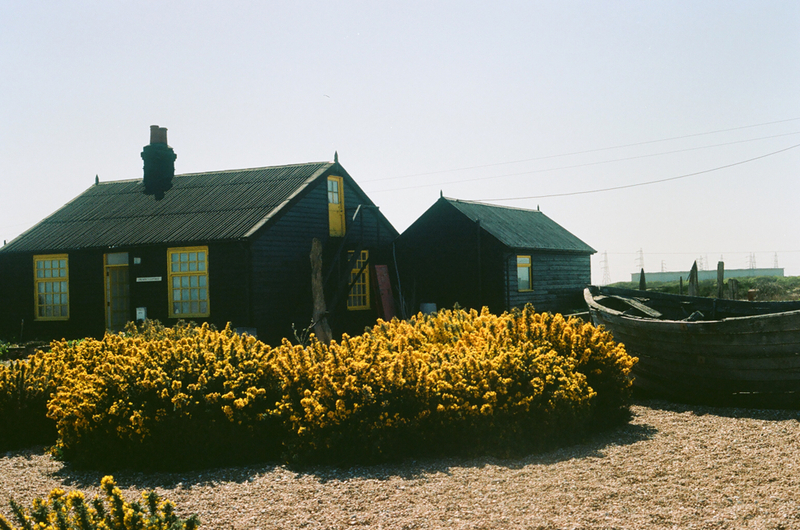 Derek Jarman's Garden is my gardening bible and reference book, so that was the reason for visiting this summer, and that's what draws most people here. As you approach on a long narrow road through Romney Marsh, you see Ukip banners and flags fluttering on houses, a caravan with a sign carefully stencilled on the side: "Glastonbury (was it 96 or 09?) What a Rave Up!" It feels foreign. After stopping at Derek Jarman's house, respectfully keeping our distance as the house and garden is private and Jarman's partner Keith still lives there, we began to drive / walk to explore some of the other areas. We were able to drive up almost to the power station B and walked along a wooden path raised over the shingle to the crashing sea beyond. There's a pub, two lighthouses, small wooden houses, some made from railway carriages (including Queen Victoria's personal carriage just casually sitting there), scattered around and a tiny single track miniature railway. A man came along in an official looking van, took out a shovel and spent a few minutes shovelling shingle from one point to another a couple of feet away, then drove away again. We saw one other person walking their dog on the path that runs behind the houses on the stretch where Derek Jarman's house is. There are also a number of starkly architect designed, suitably black wooden clad houses springing up that are rented as holiday lets. 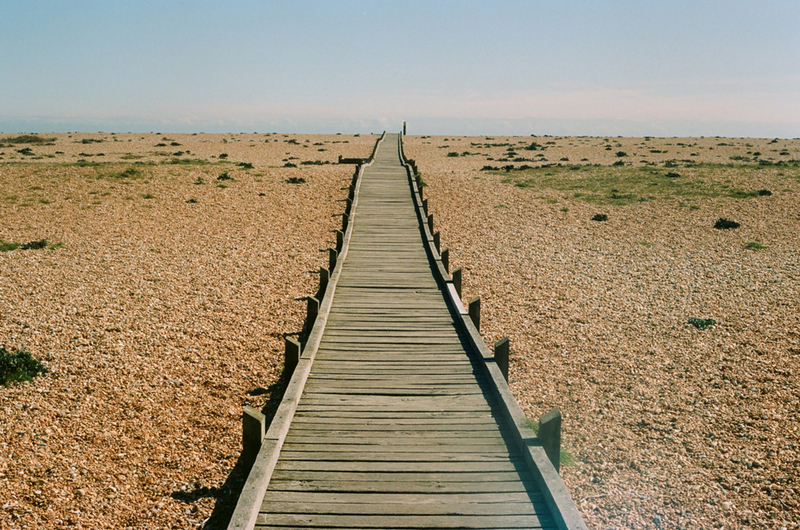 Now that the entire privately owned Dungeness estate is for sale, I expect the tourism aspect will be developed further, which will both be cool, and needs to be in the right hands. As a nature reserve, home to rare species of birds and fauna and an area of special scientific interest it is already protected from development.